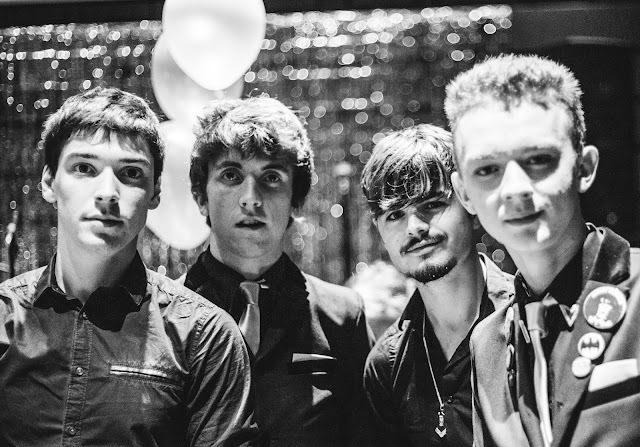 YOUNG Irish foursome The Strypes are set to take to the main stage at Wychwood Festival it has been revealed. The four-piece started playing together when they were youngsters, relentlessly gigging around the globe. Taking inspiration from the likes of Elvis Costello and The Jam they will be debuting their no-nonsense blues repertoire to festival-goers from 2 to 4 June at Cheltenham Racecourse. InHeaven will be joining them echoing the sounds of 90's grunge as well as debuting tracks such as Regeneration and Treats. BBC Radio 6 Music's resident poet Murray Lachlan Young will also be on-site with loaded with poem's on hugely diverse subject matters. Hot-right-now feeble anarchists Cabbage will be headlining the Smashing Blouses stage on Sunday with their semi rebellious - but ultimately meaningful punk anthems good pals The Shimmer Band will also join them. The Hobgoblin Stage reveals a whole host of acts including Saturday headliner Arron Keylock, The Prohibition Smokers, musical duo The Black Feathers, The Black Hats and Oxford band Deadbeat Apostles. All will perform alongside the already announced Buzzcocks, Levellers, OMD, Billy Bragg, Zac Abel and Let's Eat Grandma. Over the past 12 years Wychwood Festival has cemented itself as one of the country's favourite family friendly weekends.